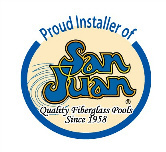 Along with our retail store and our service department, Pool Man installs and services San Juan inground fiberglass pools. 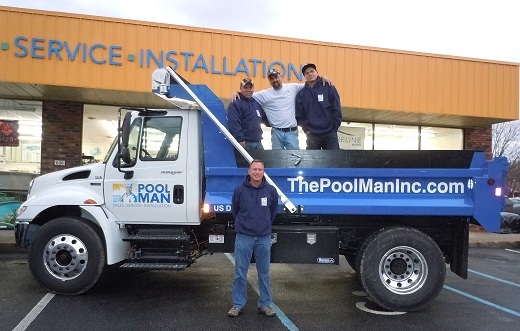 Pool Man also installs and services vinyl liner pools and stainless steel wall pools. With the wide range of shapes and sizes available, we have one to fit your yard. Stop by our location today to find the perfect pool for you. Mike Kane and his inground installation crew work together to design your perfect backyard oasis. See below for pool pictures that display just some of the many shapes and designs we offer here at Pool Man.